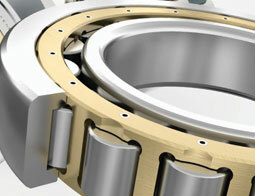 + The DSRP series is dimensionally interchangeable with the DSPseries except the DSRP4 inner ring width and shoulder. 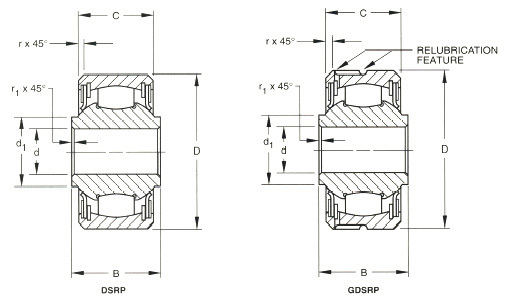 + The GDSRP series is dimensionally interchangeable with the DSRPseries; however, it is relubricable through grooves and holes drilledoutside of the bearing load zone, which permits access of lubricant torollers and raceways. 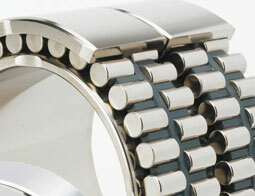 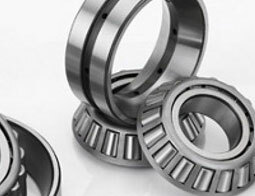 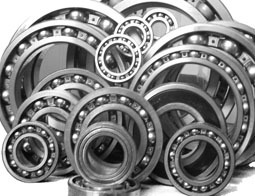 Caution: Do not allow these bearings to act as misalignment stops.